Located in Midtown, Pod Times Square is within a 10-minute walk of popular sights such as Madison Square Garden and New York Times Building. This 665-room, 3-star hotel welcomes guests with conveniences like a restaurant, free in-room WiFi, and concierge services. Enjoy a leisurely bite to eat at Polynesian, the hotel's onsite restaurant. For your convenience, a continental breakfast is served for a fee each morning from 7:00 AM to 11:00 AM. Guests can enjoy a flat-screen TV and stay connected with free WiFi and wired Internet. The bathroom offers a rainfall showerhead, hair dryers, and free toiletries. Other standard amenities include a safe and a desk. 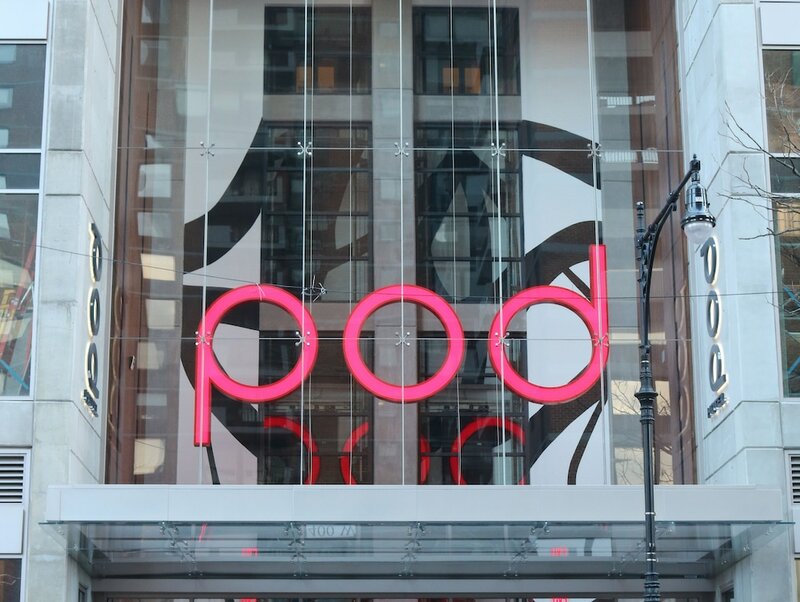 Pod Times Square features free WiFi in public areas, express check-out, and a terrace. Offsite parking is available for a fee. The 24-hour front desk has staff standing by to help with concierge services and luggage storage. The hotel offers a restaurant. Public areas are equipped with complimentary wireless Internet access. This New York hotel also offers a terrace, concierge services, and express check-out. Pod Times Square is a smoke-free property. Pod Times Square offers 665 air-conditioned accommodations with safes and hair dryers. Flat-screen televisions are featured in guestrooms. Bathrooms include showers with rainfall showerheads, and complimentary toiletries. This New York hotel provides complimentary wired and wireless Internet access. Housekeeping is provided daily. Polynesian - Onsite restaurant. Guests can enjoy drinks at the bar. Open daily.